有關以下物品的詳細資料： NEW! BELKITS 1/24 SCALE RALLY WRC CAR PLASTIC MODEL KITS - PHOTO ETCHED PARTS! NEW! 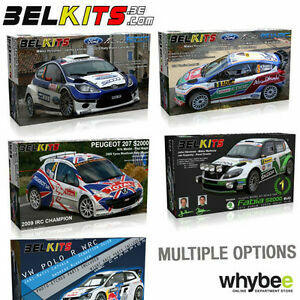 BELKITS 1/24 SCALE RALLY WRC CAR PLASTIC MODEL KITS - PHOTO ETCHED PARTS! If you require a combined shipping invoice, please purchase all the items you require, then add together in your ebay purchases and then kindly wait for us to calculate a combined shipping invoice for you before payment and checkout.